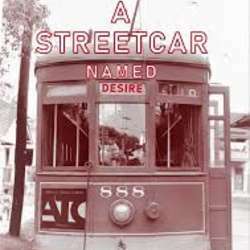 ​The ATC is proud to present Tennessee William's A Streetcar Named Desire, one of the greatest classics of American theatre, directed by Carrie Ellwanger. ("Photo courtesy of the Charles L. Franck Studio Collection at The Historic New Orleans Collection” ). Synopsis: her family estate lost to creditors, Blanche DuBois arrives at the New Orleans tenement home of her sister and brother-in-law, Stella and Stanley Kowalski, igniting a contest of wills, with Blanche and Stanley vying for Stella’s allegiance. Thomas Lanier "Tennessee" Williams III (March 26, Protected content February 25, Protected content an American playwright. Along with contemporaries Eugene O'Neill and Arthur Miller, he is considered among the three foremost playwrights of 20th-century American drama. Much of Williams' most acclaimed work has been adapted for the cinema. "I don't believe in 'original sin.' I don't believe in 'guilt.' I don't believe in villains or heroes -- only right or wrong ways that individuals have taken, not by choice but by necessity or by still-uncomprehended influences in themselves, their circumstances, and their antecedants."